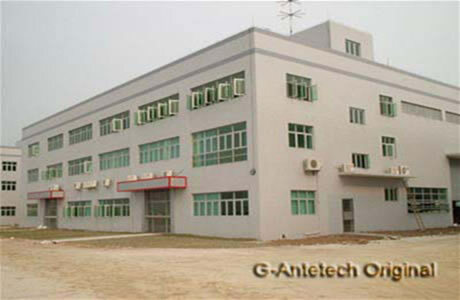 G-Antetech Industrial Co., Ltd is a high-tech company in Guangzhou city, Guangdong Province. It locates on Guangdong-Hongkong Economy and Development zone. The company is professionally engaged in R&D, designing, manufacturing and selling GPS glonal position Products:GPS Antennas, GSM/UMTS antennas, WIFI Antennas, GPS/GSM/WIFI Antennas, GPS/GSM/FM/AM Antennas,GPS/WIFI Antennas, GPS/FM/AM Antennas,Gps receivers,Bluetooth GPS receivers and all kinds of RF connectors, All kinds of interface cables in China. G-Antetech Industrial Co., Ltd has been deep in good graces of buyers both at home and abroad for its advantage of varied types, stable performance, hi-tech, wide application, reasonable structure, easy installation and maintenance. The Gps antennas are not only resistant to water, high temperature, sever cold but also intentsonal and not-easy-ageing. The radiation system is made of fine materials, through delicate process, able to work steadily and reliably in poor environments, targeting its electrical performance and passive cross modulation.